Les façades de l’emblématique Hôtel des Postes sont éclairées, avec une évocation poétique de son oiseau bleu symbolique. Le bâtiment est ouvert en nocturne au public pour une présentation inédite et insolite de la fresque de Louis Bouquet. Mise en lumière et en mots par une comédienne, cette immense fresque livre ses secrets. La citation d’André-Marie Ampère inscrite sous la fresque révèle quelques indices sur l’allégorie symbolisant la ville de Lyon : « Et par le fluide messager, la pensée transportée unit les cités et les mondes ». Venez découvrir les clés de l’énigme ! Le Club des Partenaires de la Fête des Lumières et Arte vous invitent à assister à la projection du film « Lumières sur la ville » d’Agnès Bovet, le samedi 8 décembre à 15h au Village Lumière (CCI-Palais de la Bourse). Cette projection sera suivie d’une rencontre et d’une séance de dédicace avec la réalisatrice. Weaving of stripes and figured patterns, in a former apartment and workshop, located on the 1st floor of a typical weavers' building from the 19th century. Handweaving (Jacquard) and weaving on mechanical looms in a family workshop from the 19th century (kitchen and mezzanine). Thursday, December 6 to Saturday December 8, individual visits in French (no reservation required) at 2 p.m., 3 p.m., 4 p.m., 5 p.m. and 6 p.m.
After losing to the Cardiff Blues and the Saracens, Lyon’s LOU Rugby team is hoping for a win against the Glasgow Warriors in the Champions Cup. 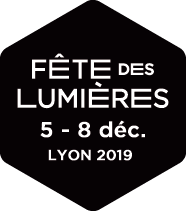 Come and cheer them on at the Matmut Stadium on Saturday, December 8 at 2 p.m. Don’t worry, you will have plenty of time after the match to travel to the centre of Lyon for the Festival of Lights. Thursday 6 to Saturday 8 December: 5 p.m. to 7 p.m.
Montluc military prison, built in 1921, only really came into service on the outbreak of World War II, and was under German occupation from 1943 to 1944. Montluc served as a civil prison after the war, before closing for good in 2009. It was restored as an Haut-Lieu de la Mémoire Nationale – a place of national remembrance, opening its doors to the public the following year. Come and discover the complex history of this building that occupies an iconic place in the history of Lyon and France. To mark the 2018 Festival of Lights, the Montluc Prison National Memorial is also hosting an extraordinary light show that will illuminate the facade of the cell block and the prison walkway. The installation has been designed in partnership with the Lyon National School of Architecture and Zurich University of the Arts. It's a chance to find out all about the history of Montluc, from the dark side of the prison walls to the brightly-burning memory of the thousands of inmates who were locked up inside. enform@lyon, the City of Lyon’s free outdoor fitness app is getting geared up for the Festival of Lights. The audio walking tour is an original way to enjoy the Festival from December 6 to 9 and get up to speed on 20 light installations. Apéro-Club – the after-work drinks club: a special line-up devised in partnership with The Hague's TodaysArt Festival, a cutting-edge benchmark for the visual arts. On the music side, Oceanic – resident at the d.school – will perform a DJ set, while Juanita x Flares will present their live A / V show. Come and discover Pareidolia, a hybrid project by Merovee, the live A / V of the Frenchies UVB 76 and the DJ set by Cora Novoa, a rising star of the Barcelona scene. And that's not all: there's also a sparkling, immersive stage set specially designed for aesthete dancers as well as Nicolas Paolozzi's TETRA installation. The Croix Rousse gets into winter mood with an ice rink, chalets, entertainment, eateries, night events, rides in a horse-drawn carriage, hot chestnuts… and a whole host of other surprises!